“All persons, including dental practitioners, are NOT permitted to provide take-home teeth whitening kits to patients that contain more than 6% hydrogen peroxide or more than 18% carbamide peroxide”. This is found under the Competition and Consumer Act 2010. All persons include dental manufactures supplying dentists. So be careful! There were kits that were sold to dentists of higher concentrations which caused problems for patients. This warning has been issued to clear up any confusions and to inform every one of the care needed in applying such products. This does not affect the dentist ability to use teeth whitening substances of any concentration of hydrogen peroxide/carbamide peroxide that will be used in the surgery. 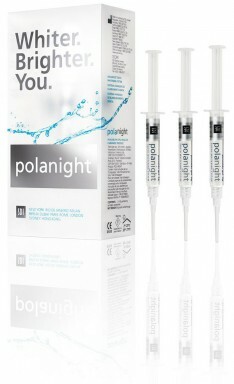 The active ingredient for the Pola Office + teeth whitening product is 37.5% Hydrogen Peroxide. Great care must be taken when the procedure is carried out in the surgery. The do it yourself craze does not extend to self-treatment of this kind. Nor should anyone other than a dentist perform this treatment!